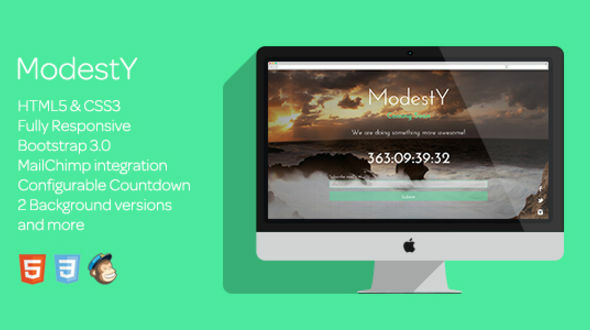 ModestY is a fully responsive coming soon page. It's powered by Bootstrap 3 and is integrable with MailChimp. This theme suitable for under construction, landing pages, coming soon, and small business. This theme comes with two background versions: static and image slideshow. This theme also comes with a handy countdown script that is extremely easy to be configured from the HTML file.